The latest en vogue critique of New Testament reliability involves something known as “flashbulb memories.” Flashbulb memories are memories which are so surprising and so emotional that they remain etched in our minds forever. (An example would be remembering where you were and what you were doing when you learned about the Twin Towers being hit.) However, flashbulb memories may not be as credible as scientists once thought, according to an Emory University study on recollections of the Challenger explosion. This was Bart Ehrman’s main point of contention during last year’s debate with Justin Bass. However, Rebekah and I felt skeptical about many of Ehrman’s conclusions. Upon further investigation, Rebekah and I discover that that there are two important hallmarks of accuracy in a flashbulb memory. The first hallmark is a close relation between the individual and the event. According to this study discussed in the podcast, the more personally affected individuals were by an event, the more likely they were to remember the event accurately. The disciples were incredibly and personally impacted by the events of the New Testament. Jesus, whom they had followed for years, eaten with daily, studied under, and revered as the Son of God was suddenly arrested, put to death, and appeared to them again resurrected. Afterwards, they were ostracized from their communities, some disowned by their families, and ten of whom were brutally murdered for sticking to this story. None of the examples cited by Ehrman during the debate even remotely addressed the memory differences between people personally affected by a tragedy and those who were just bystanders, and thus his claims are cherry-picked, faulty comparisons. The second hallmark is regular review of the details of the event. This appears to be based on Ebbinhaus’ forgetting curve. The research we discussed showed that the amount an individual reviewed material, especially within the first 6 years, was highly correlated with their ability to retain the information. This is also pertinent to the New Testament eye-witnesses. The entire testimony of these men and women hinged on their recounting of events they had witnessed. Many of these witnessed accounts were experienced in groups, and they could rehash events together, correcting one another, reinforcing the memories, and putting them into easy-to-remember creeds to be passed down from person to person. These were not individuals, alone in a vacuum with their memories. These are corporate memories reviewed in a communal setting and within an oral culture. We have few things in our world with which we can accurately compare this culture. We live in a world of DVRs, YouTube, Facebook, and blogs. We don’t have to remember anything more than the necessary keywords to Google it. To compare our memory in today’s culture with the highly advanced mnemonic memories of oral culture is itself problematic. 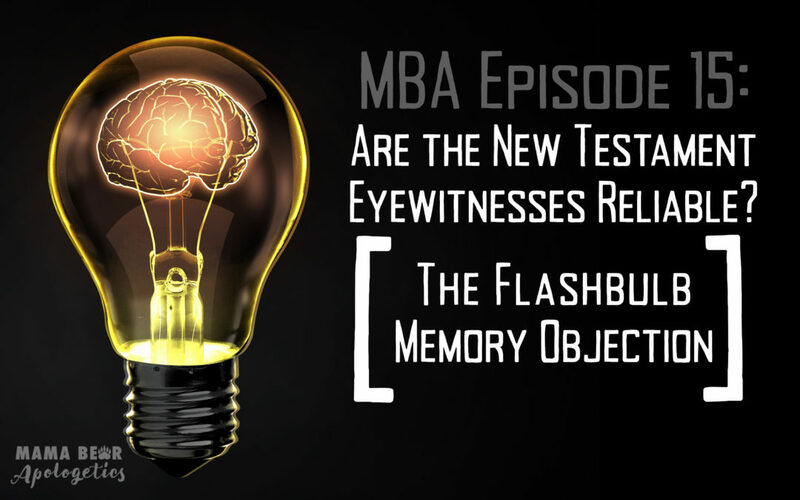 Join Rebekah and me as we dive into the question of whether or not flashbulb memory research discredits the eyewitness accounts of the New Testament writers! And if we drop a couple of 10-cent words on you, check out our “unfamiliar vocabulary” section in the notes. If you let kids discover Bible variances on their own, they will wonder what else you have kept hidden from them. Differences do not equal contradiction, but they do to the skeptic. Home is where kids should be asking these questions. Flashbulb memory – emotion that etches a memory into your mind. Studies that show that flashbulb memories are not as reliable as previously thought. 50% memories were accurate and 50% were not. None of them reported that the Challenger did not blow up! If you report 50/50 and you report only on half of the data, that should be a red flag that there is bias – the researchers had a goal. People who had closer ties to the resistance remembered the events more accurately. The amount of a person’s investment in the event impacts how accurate a flashbulb memory is! The minor details that are different in the New Testament eyewitness accounts lend credibility to this being actual eyewitness testimony. The church had 2000 years to change these little discrepancies, but the church chose not to, because they were trying to be faithful to the text. If scripture had identical eye-witness testimonies, textual critics would be faulting scripture for being forged because they are too identical – they will find fault either way. Individual vs corporate memory – Memories that an individual keeps to themselves vs. memories that are recalled in a group setting over and over again. The church took great pains to corporately preserve these memories through creedal statements and recitation in a community environment. Modern corporate memories – like guys sitting around talking about a famous football catch. They’ll sit around and talk about it, correct each other. None of them are dying for incorrect memories about a football statistic. Another study looked at memory surrounding learning of Spanish words. Most of the forgetting occurred within 6 years, and then after that, memory was stable. Significant correlation was found with how much a person remembered the words and how many times they reviewed the words. New Testament churches were constantly reciting creedal statements, thus “reviewing” the facts over and over, making transmission accurate over a long time. We CAN’T compare our modern culture to an oral culture. Community could help fill in the gaps. If you were taught to memorize things from a young age, that skill would be highly developed. There are closed countries who have entire books of scripture memorized. Sometimes we need to doubt out doubts! Bart Ehrman – New Testament scholar whose career is predominantly directed towards trying to discredit the New Testament documents. See Intro to Bart Ehrman podcast here. Everyday memory – distinguished from flashbulb memory by lack of intense emotional component. More factually and objectively understood than subjectively. Blasphemy – often considered the “unforgivable sin” as per Mar 3:28-20. Defined generally as “the act of insulting or showing contempt or lack of reverence to a deity, to religious or holy persons or sacred things, or toward something considered sacred or inviolable” Claiming to be God or claiming to do things that only God is supposed to do (i.e. like forgiving sins) was considered blasphemy according to Jewish law and tradition. Corporate memory (also called communal memory, or collective memory) – the act of a group of 2 or more persons recollecting a memory together, and capable of correcting one another and solidifying the story by each member sharing their recollection. Ex: guys sitting around talking about a famous football game, or people discussing what happened in class, or a movie etc. Oral culture – culture where stories are passed down orally. Often individuals learn pneumonic devices from an early age to aid in retention of story details. 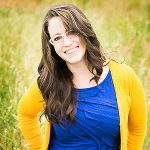 “In recent years, it has been estimated that over 60% of kids coming from Christian homes abandon the faith by the time they get done with college. It is time for pastors and other Christian leaders to educate the masses about the reality of the transmission of the Bible. If we don’t, the fallout will only get worse.” Dan Wallace from article/blog, Can We Still Believe the Bible?